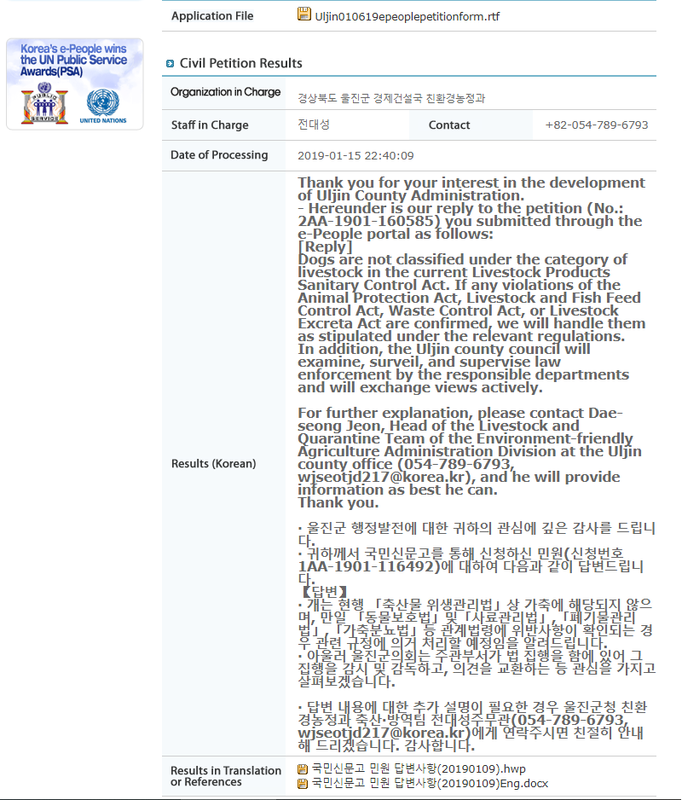 Below is Uljin’s response to our petition: Uljin, South Korea, Shut down the illegal dog meat farms, slaughterhouses and markets. 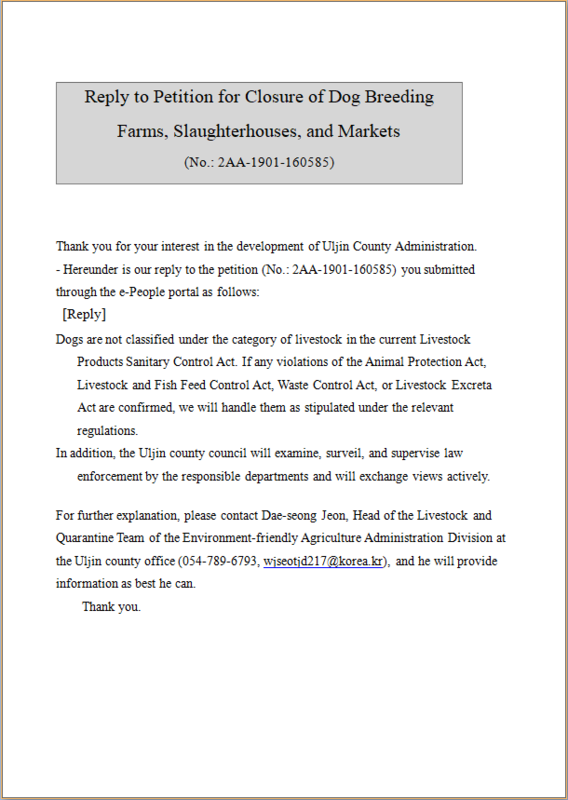 dogs and cats should not be in the category of livestock. they are companion animals. dogs helped man hunt for food for thousands of years and cats helped control vermin when humans started to live in larger groups.these animals have helped humans for thousands of years and they have learned to love us as we have learned to love them. they are not food. to raise them inhumanely and then torture and kill them for food goes against everything that stands for being a human in todays world.